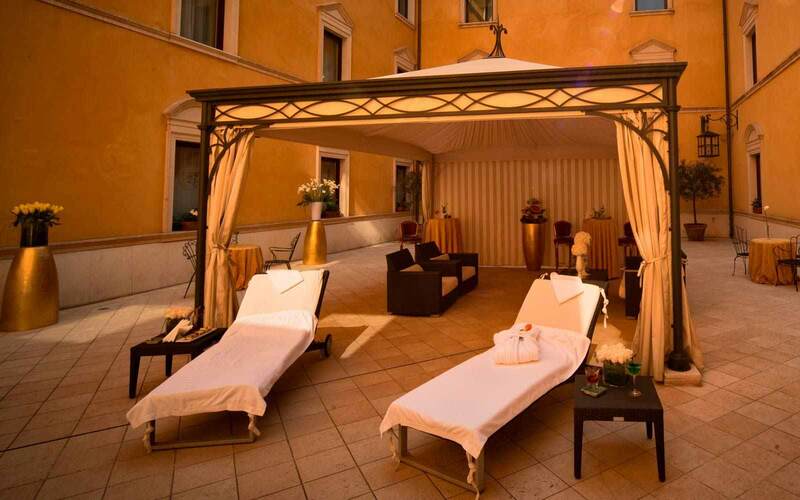 The Due Torri Hotel is located in Verona's historic centre next to Church of Santa Anastasia, just a stone's throw from Juliet's famous balcony, the Romeo House, Piazza Bra and the Arena. 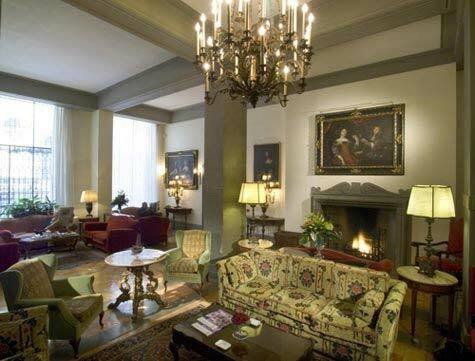 Known as Aquila Palace since the 14th century and formerly owned by the prestigious Scaligeri family, in 1674 the palace became an inn and in 1882 was converted into the Grand Hotel Imperiale. 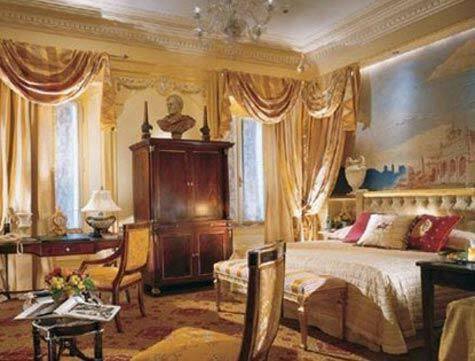 In addition to hosting famous guests such as Mozart and Goethe the hotel also served as the setting for very important historical events. 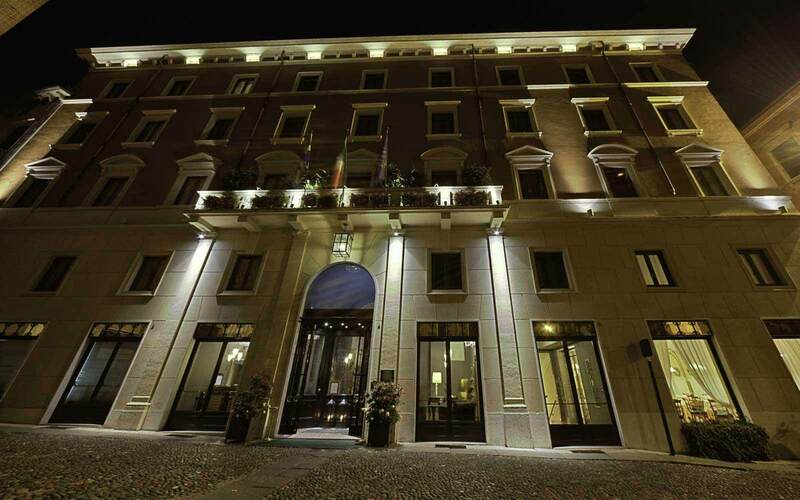 The recent restyling further enhanced this charming hotel with a refurbished bride façade and a more impressive lobby with contemporary touches. 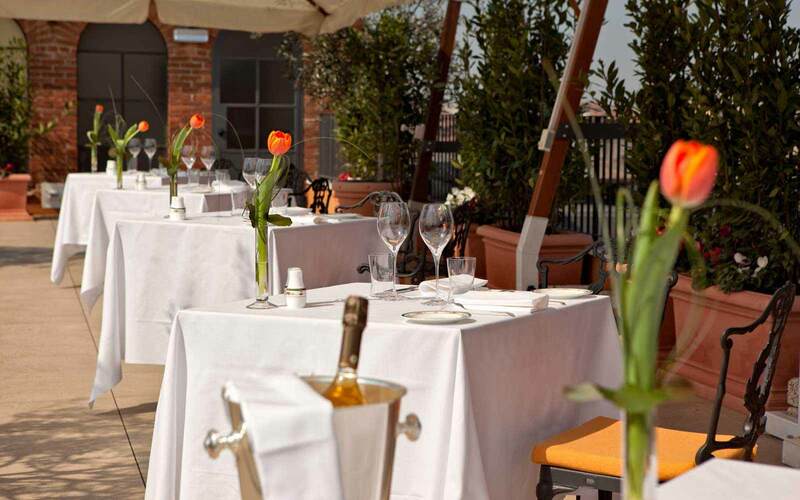 The "Due Torri Restaurant" awaits guests to share with them all the genuine flavours of local and national cuisine reread in a creative key by skillful Chef Giorgio Shifferegger. 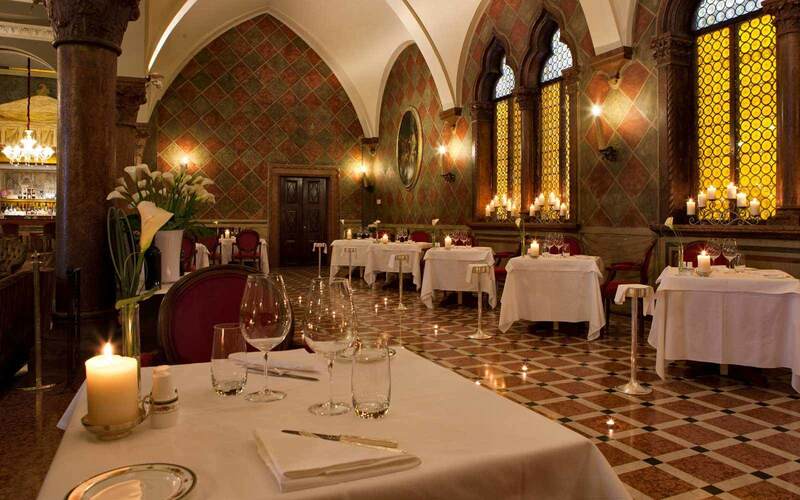 The atmosphere is cosy and specialities can be accompanied by top wine selections from this renowned region of Italy. 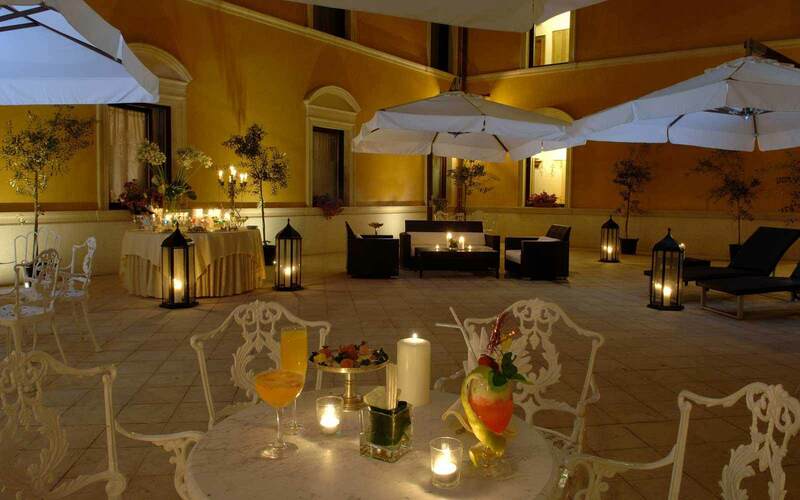 In the hall of this ancient hotel you will find the exclusive "Due Torri" Lounge, providing a wide range of cocktails and drinks, new concept cuisine and an ideal frame of virtually any dinner. 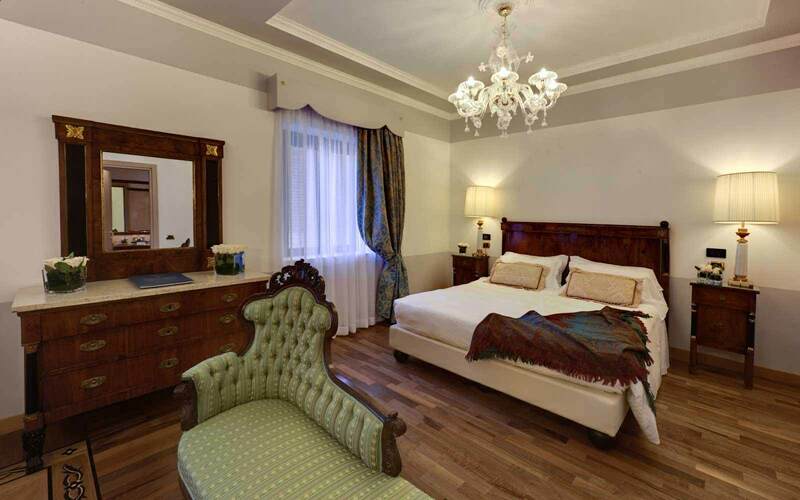 Rooms 89 - Classic Double rooms (20-22sqm) are unique in style but they are all improved by elegant standard details such as important chandeliers in Murano glass and soft valuable bedspread. 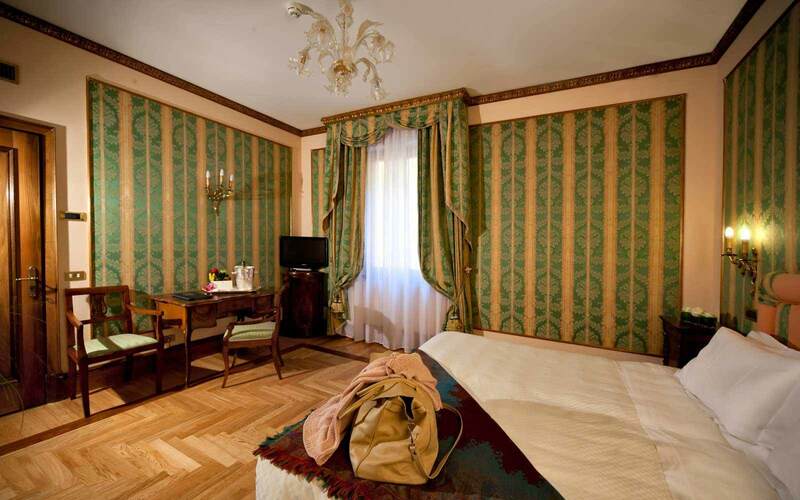 Deluxe Double rooms-(23-26sqm) Romantic chaise longue, full-figured mirrors and comfortable sofas. 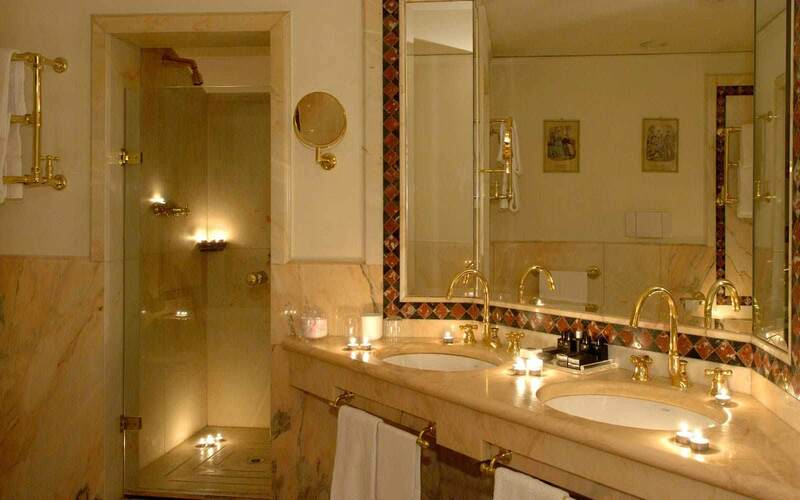 Pink marble bathrooms are enriched by fine mosaic works. 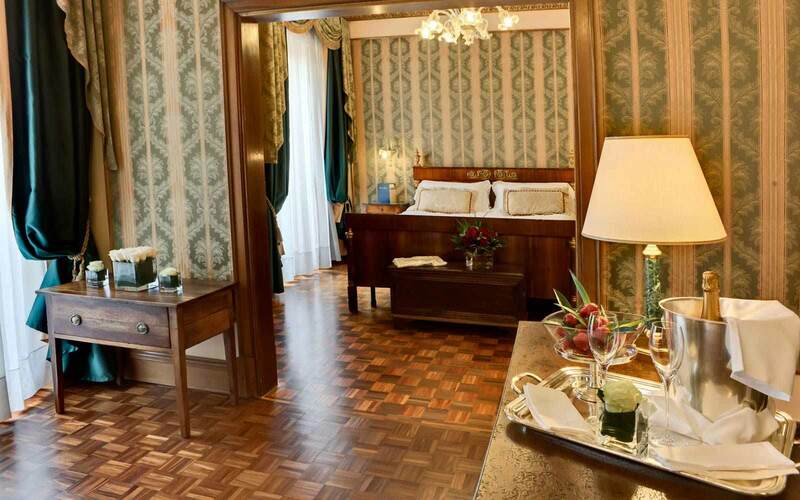 Deluxe rooms include 1 double bed or two single beds. 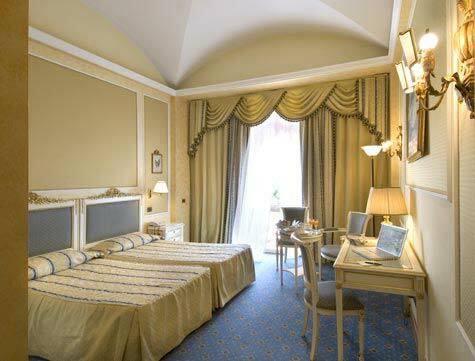 Junior Suites(30-40sqm) Consist of a bedroom with double bed or two single beds and a lounge. 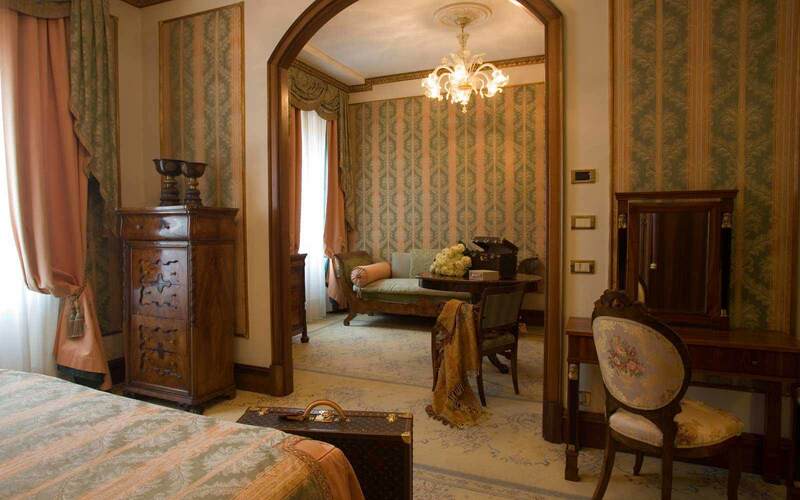 Inside Junior Suites you will find the conveniences of both previous type and exclusive extra touches: Murano glass chandeliers; valuable bedspread; chaise lounge; large mirrors; comfortable sofas; pink marble bathrooms with great mirror framed by marble mosaics and double wash basin. 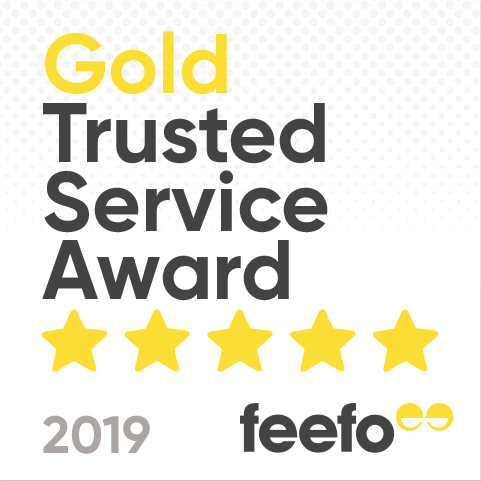 Wi-Fi internet connection and air-conditioning throughout the structure; left-luggage office; 24-hour concierge; safe deposit boxes at the reception; currencies exchange; porter service; private shuttle service; baby-sitting service and personal shopper are available on request. 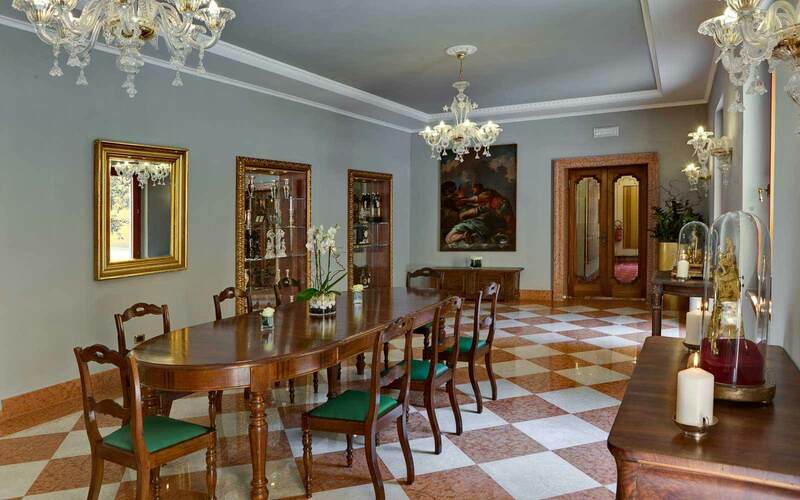 Approximately 45 minutes from Verona airport. Prices available on request. Upgrades on your standard accommdation available. Prices and availbility on request.